Elena Michaels is the world’s only female werewolf. And she’s tired of it. Tired of a life spent hiding and protecting, a life where her most important job is hunting down rogue werewolves. Tired of a world that not only accepts the worst in her–her temper, her violence–but requires it. 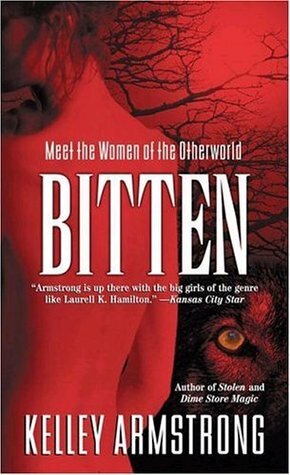 Worst of all, she realizes she’s growing content with that life, with being that person Elena Michaels is the world’s only female werewolf. And she’s tired of it. Tired of a life spent hiding and protecting, a life where her most important job is hunting down rogue werewolves. Tired of a world that not only accepts the worst in her–her temper, her violence–but requires it. Worst of all, she realizes she’s growing content with that life, with being that person. So she left the Pack and returned to Toronto where she’s trying to live as a human. When the Pack leader calls asking for her help fighting a sudden uprising, she only agrees because she owes him. Once this is over, she’ll be squared with the Pack and free to live life as a human. Which is what she wants. Really.